A suffix is a letter or group of letters added to the end of a word to make a new word (different word class) with a new meaning. Suffixes are used to create not only verbs , but also adverbs, nouns and adjectives. 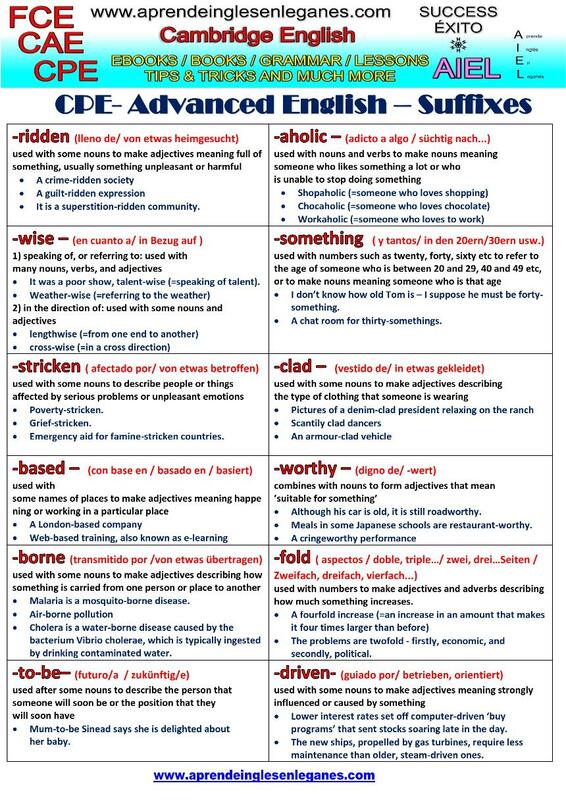 The list below contains twelve advanced suffixes that will help you understand advanced texts and journal articles better.